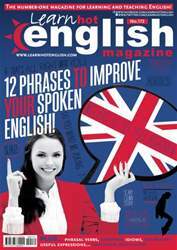 Digital Subscriptions > Learn Hot English > 172 > FIVE GREAT APPS FOR TRAVELLING ABROAD! Look at the names of the five apps (see the five paragraph titles in the article). What do you think the apps can do? How do you think they could help you when you’re travelling abroad? Make notes. Read the article again. Then, try to complete the sentences with the correct words from the article. 1. It can tell you which train to catch and where to _____ trains. 2. You can request a car with a driver to _____ you up anywhere. 3. You can use Pocket Earth to navigate _____ so you don’t need any wifi connection. 4. This app also lets you _____ for amenities such as cafés, petrol stations or restaurants.